Make mountain music with this musical washboard instrument! Spoons, sticks, or any rigid striker will make "clickin' an' clangin" sounds. Country music bands rejoice! This instrument is perfect for country, bluegrass, blues, and more. After you are done playing, use it to wash your clothes and hang for decoration. 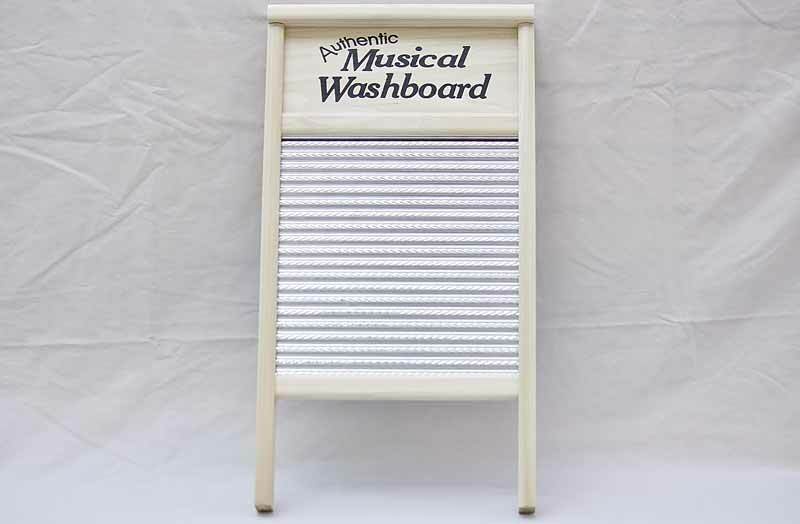 You'll love this musical washboard! Washing surface dimensions:11" x 11 3/8"